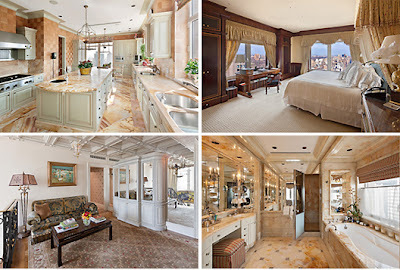 From the great NYC website...Curbed NY .......this is one cool apartment !! love all the colors!! Marrying the opulence of the Old World with the dynamism of 21st century living is best left for the masters. This is exactly what the owners of this duplex penthouse did when they commissioned world renowned architect, Juan Pablo Molyneux, to build their Neoclassical "chateau in the sky." 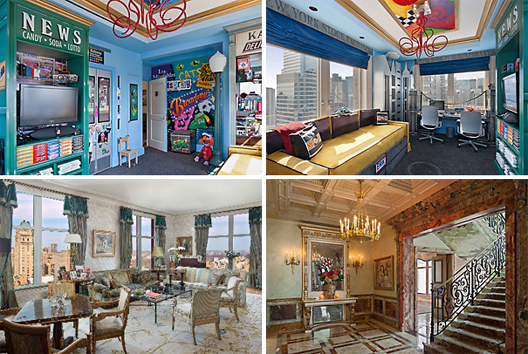 This chateau in the sky, asking $31 million, includes an onyx staircase linking the two floors, and what looks like some sort of Times Square room. Juan Pablo's done it again! The sponsor of 515 Park Avenue and its selling agent marketed the building as synonymous "with privilege and luxury living," reminiscent of the residences of "the elite of Manhattan society." When prices for the condominium units reached $3,000 per square foot, William Lie Zeckendorf explained that the building would "reflect the grandeur and workmanship of the classic Park Avenue apartment house." He further explained, "nothing like it has ever been built then or now." Sales materials described the building's amenities as "truly unprecedented . . . inspired by the luxuries of another era", and touted the design elements as out of "a short story by Fitzgerald". 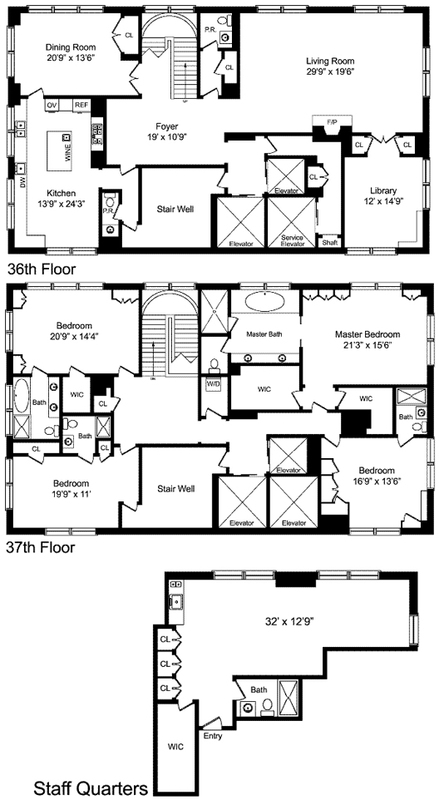 The buyers may wish they had instead read the works of Jerome K. Jerome, who wrote "I want a house that has got over all its troubles; I don't want to spend the rest of my life bringing up a young and inexperienced house." Love this bedroom.......so happy and colorful !! 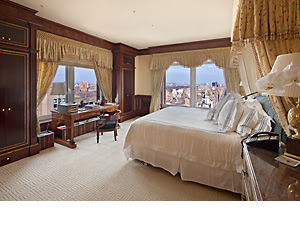 my mom could have this room....she may not like being on the 37th floor however!! Corcoran Group listing can be found HERE if you are looking to purchase! !